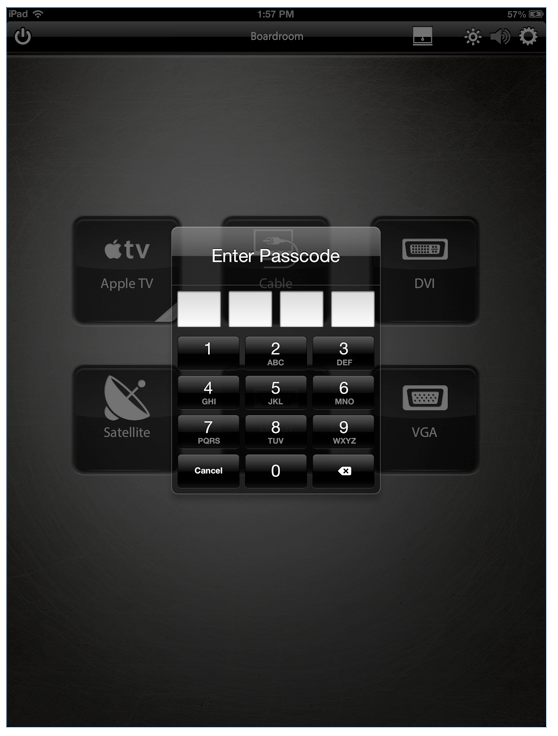 A Savant app can be set as the only app available on an iOS6 device—iPad®, or iPad® mini, or iPod® touch. 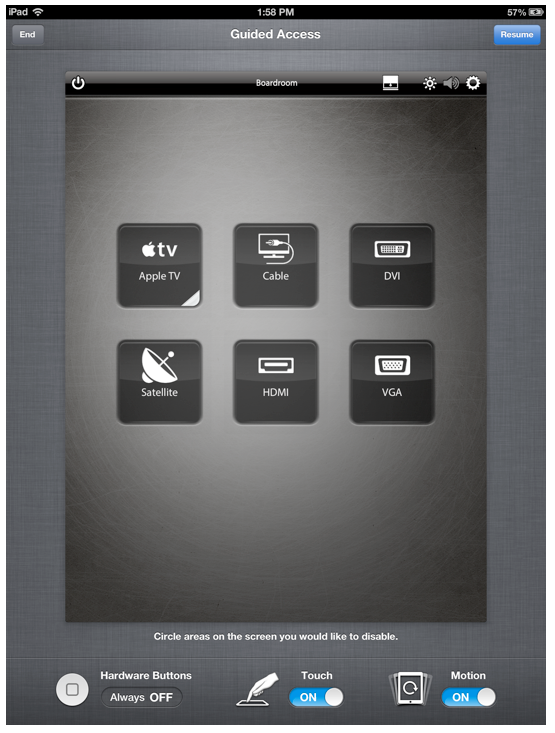 Guided Access not only limits the iOS device to a single app, but lets you control which app features are available. Set whether iPhone can go to sleep during a session. To prevent users from exiting the Savant app, do the following. 1. 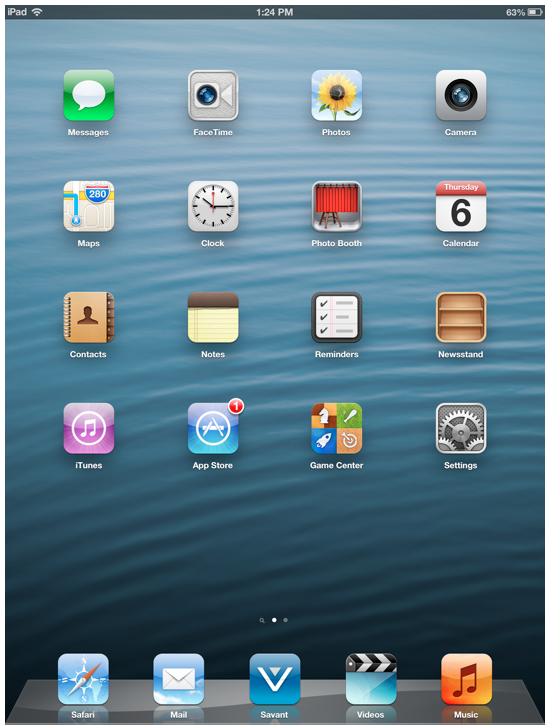 From the home screen of the iOS device, tap the Settings icon to bring up the iOS device's settings window. 4. Slide Guided Access to ON, in the Learning section. 5. If required, slide Enable Screen Sleep to ON—use if you want the iOS device to sleep while in Guided Access mode and pressing power button. 7. Enter a four-digit numerical passcode. You will be prompted to enter this number again. This passcode will be used to exit a Savant app. 8. Press the home button of the iOS device. 9. Open the Savant App, and navigate to the desired systems instance. 10. Click the home button three times quickly. 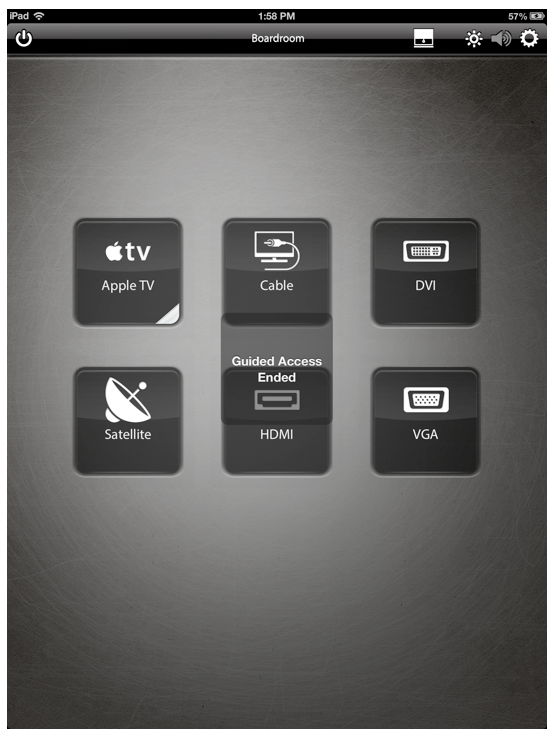 Hardware Buttons—The default setting for Guided Access (Always OFF), that is the Home button is disabled. Touch—OFF means all screen touches will be ignored. 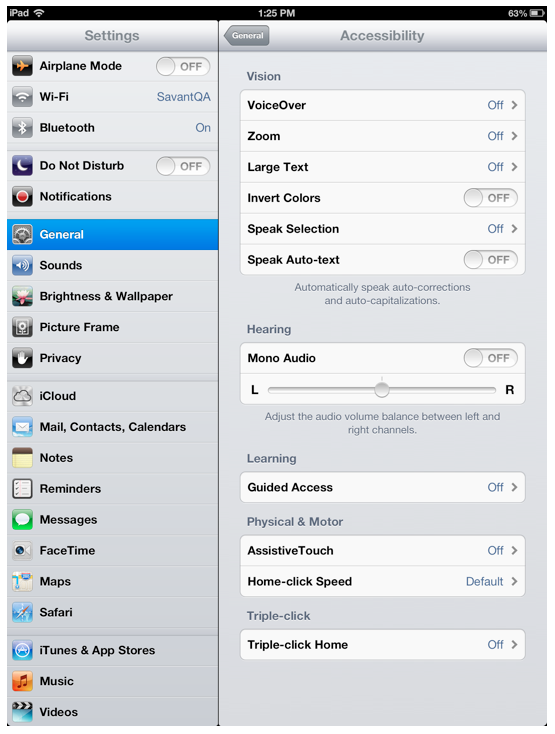 Motion—OFF Keeps iOS device from switching from portrait to landscape or from responding to any other motions. The Savant App is now the only app that is accessible from this device. If you press the home button, a message will be seen on the iOS device reminding the user that Guided Access is active, and to press the home button three times to exit. 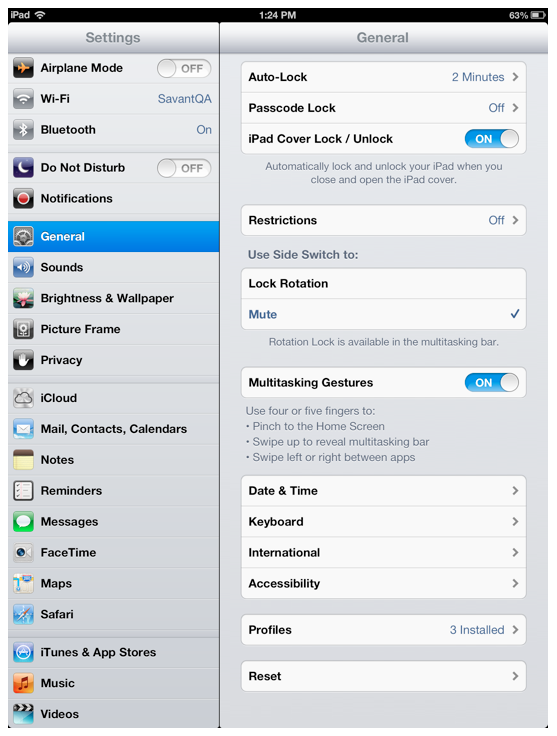 To allow access to other apps on an iOS6 device that has been locked for a Savant app only, do the following. 1. Tap three times quickly on the home button of the iOS device. 2. 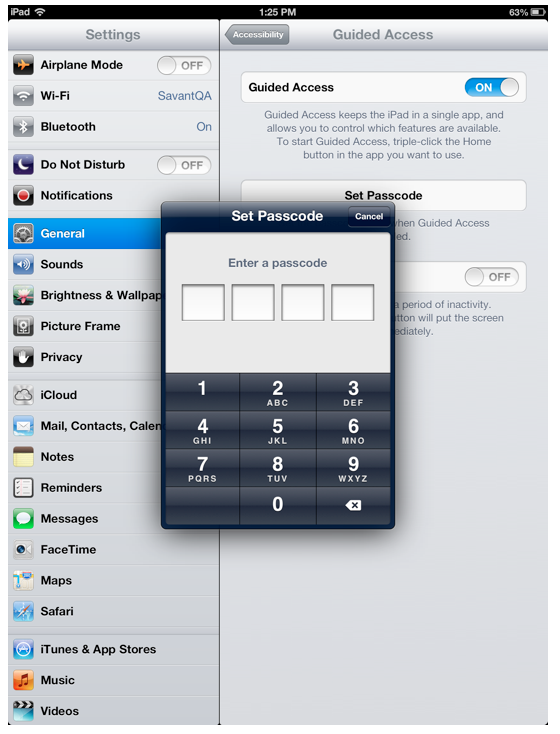 Enter the passcode used when first setting up Guided Access. 3. Tap on the top left button labeled End. Guided Access is now be turned off. A message is displayed to confirm this, as shown in the next screenshot. 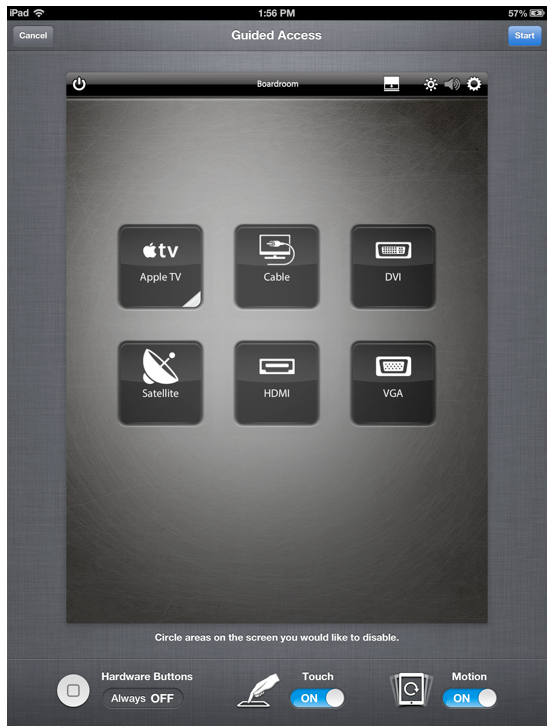 awesome for the ssr remotes and in wall docks. With a bonus of the reboot of the device still working by holding both buttons down for 5 seconds and the device auto boots back into the savant app - great little idea that.